Nosara is a quaint beach town that is just starting to grow in popularity, so it still maintains a quiet and natural atmosphere. There are several good surfing beaches in the area. Tasty waves and a warm sun wait for you in this well-appointed hotel. Walk to the beach, ride the surf, and relax. Set on the Nosara beach, The Harmony Hotel is a remote, eco-friendly boutique hotel dedicated to yoga, wellness, and surfing. If you’re looking for a getaway that will provide rest and rejuvenation, Playa Nosara’s quiet setting is a top choice for couples who want to enjoy each other’s company, as well as the natural beauty of Costa Rica. It boasts everything from modern facilities and accommodations to a natural, awe-inspiring backdrop, providing you with everything you need to cultivate the perfect vacation. 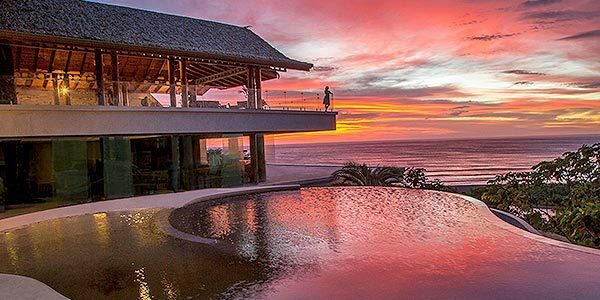 Getting to Playa Nosara typically involves hopping on a domestic flight from San Jose to the Nosara Airport. From there, travelers can rent a vehicle with four-wheel drive to easily navigate the area. 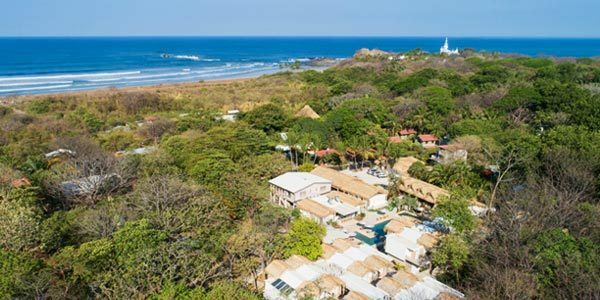 A few of the most popular resorts are located just a two-minute walk from the beach, giving guests easy access to some of Costa Rica’s best surfing spots. Fishing is also a popular pastime, and visitors can try to reel in the catch of the day while soaking up their wondrous surroundings. When it comes to Playa Nosara hotels, few accommodations can rival The Harmony Hotel. Just as the name implies, this refuge aims to provide guests with the perfect blend of high-end amenities and natural beauty. It has a limited selection of 24 rooms and bungalows, some of which are tucked away among gorgeous tropical landscaping and surrounding a free-form swimming pool. The Harmony Hotel also aims to give back to its amazing environment by keeping all operations eco-friendly, carrying on a tradition of providing getaways organized with nature in mind. Whether you are enjoying a healthy, delicious meal made from freshly grown ingredients at the hotel’s on-site restaurant, relishing a luxurious treatment at the Healing Centre, or enjoying one of the yoga sessions offered, you have a unique opportunity to immerse yourself in all of the best parts of Playa Nosara with a stay at The Harmony Hotel. Playa Nosara is a stellar destination for couples looking to get away from it all. With accommodations like The Harmony Hotel providing a beautiful spot to stay, as well as special touches like private patios and authentic decor, guests have an opportunity to revel in the vacation of a lifetime.